My friends from across the pond (can an American say that?) featured me! Visit Philofaxy to see the details about my binder! Check out the cool London Rubber Stamp Set that I found to celebrate my European friends in my planner! If you enjoy what you read at Giftie Etcetera, please share on social media. 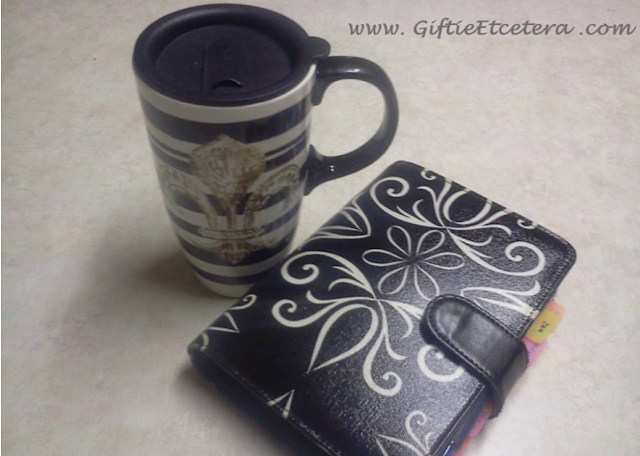 Click here to join the Giftie Etcetera Facebook group. Yours is my favorite blog and Youtube channel for planner-related items. I have yet to come across another (with the exception of Patty Gardner) who focuses on the efficiency and functionality of a planner rather than getting caught up in the decoration of it. Pretty planners don't resonate with me. Planners such as yours show me what real life tosses at you, and that can me erases, scratch-outs, scribbles and such. Those kinds of pages are eye candy to me. You are also a great inspiration for consistency as you've used the same planner and system (with the exception of the few tweaks you make here and there) for years. That's hard to find within a planner community where you see a lot of folks switching their planner and inserts as soon as boredom sinks in. I know, I felt it. I'm not saying you shouldn't settle using something you're not happy with, but we need to give ourselves time to adapt to what we have and give it a chance rather than constantly seeking out something better. I admire you greatly for this and will continue to always seek out your posts/site first thing as I look forward to them every day.